Intel’s Quark SoC doesn’t have any products in the market just yet. But the chip manufacturer is still making forays into the internet of things (IoT) movement. 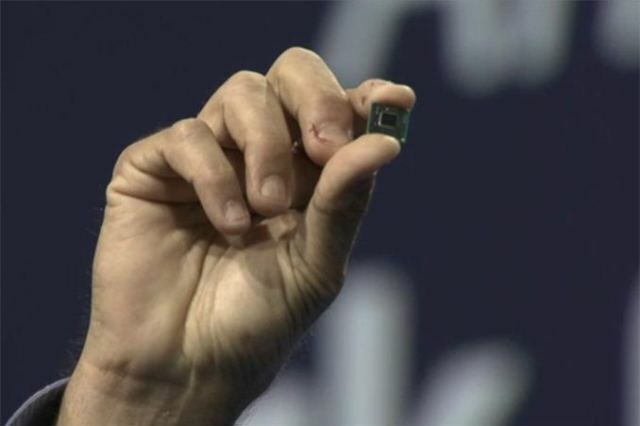 Its new miniature PC, Edison, is based on the same technology as the Quark SoC. Edison is built on 22nm transistor technology, runs Linux and has built-in WiFi and BlueTooth modules for connecting to its own appstore. Initial versions of Edison will be available in mid-2014. This will be target developers for the creation of next generation wearable devices. A maker competition “Make it Wearable” has been initiated by Intel with a total of $1.3 million in cash prizes to as an incentive to developers to create products based on Edison. When considering wearable devices, there’s an overlap between technology and fashion. Already, Pebble has announced a remake of their smartwatch to appeal to the consumers’ fashion sense. This is acknowleged by Daniella Vitale, Barney New York’s COO. For wearable technology as a concept to be successful is fairly simple – to design a beautiful accessory that our customers would desire. – Daniella Vitale. Barney along with the Council of Fashion Designers of America and Opening Ceremony recently partnered with Intel to create a smart bracelet concept based on Intel technology.